A few time ago, I wrote a post about move wordpress to dokku. First of all, I moved from dokku to standard docker, less problems, more scalable. After that, I found a great orchestration tool for multiple docker servers: Rancher . This great tool allow with few click to create a container that simple “works”. I need to move an existing wordpress blog, so i have to move content and DB from one server to another. After that, move database to the new server (but this isn’t mandatory, because rancher allows to link container from one server to another, without the need to expose to the internet the mysql port). Press create and wait some seconds, after that You should see the service “running”. In the configuration I didn’t set a Port Map, because I’ve a load balancer for this, but if you need you can add the port for expose the container. 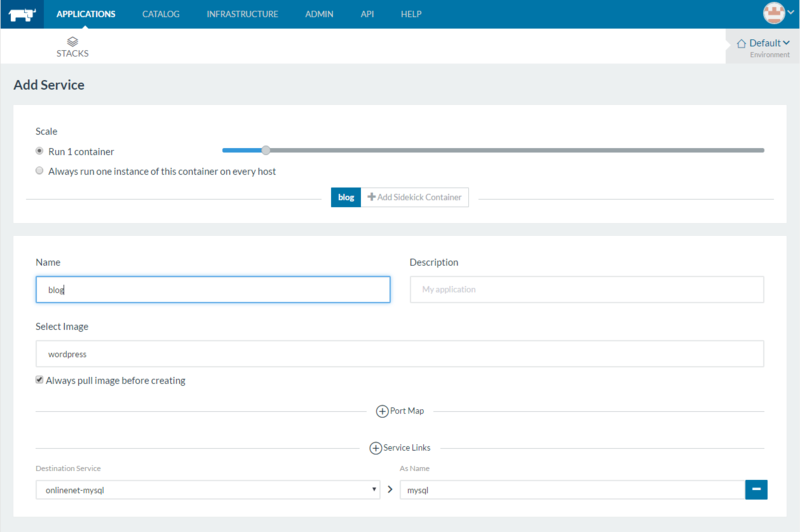 It’s all for now, the new wordpress container should works with no problems.